Matthew C. Glandorf has a versatile career as a conductor, teacher, organist, improviser, church musician and composer. Born in Lewisburg, PA, he began his early studies in violin (age 4) piano (age 7), although piano practice was bargained with being allowed to have access to the organ at the church where his father served as the pastor. In 1980, his family moved to Wilhelmshaven, Germany where he began life as a chorister and further studied organ with Professor Wolfgang Baumgratz at The Cathedral in Bremen. At the age of 16, Matthew began his studies at The Curtis Institute of Music in Philadelphia with John Weaver (organ) and Ford Lallerstedt (counterpoint and music history). Further studies were undertaken at the Manhattan School of Music with McNeil Robinson. Mr. Glandorf has held the position as Music Director at several historic Philadelphia churches including the Lutheran Church of the Holy Communion, Old Pine Presbyterian Church, Old St. Joseph's Roman Catholic Church and Saint Mark's Episcopal Church. He currently serves as music director at Church of the Good Shepherd in Rosemont, PA. Since 1995, Glandorf has served in the Musical Studies department at The Curtis Institute where he has taught early music history, counterpoint, figured bass, ear training and improvisation. Most recently, he formed the Curtis Collegium, an ensemble that specializes in historical performance practice. He has also taught at Swarthmore College, Westminster Choir College, and the Esther Boyer College of Music at Temple University. As an organist, Glandorf has appeared as recitalist throughout the United States, England and Germany as well as a recitalist and conductor for conventions of The Organ Historical Society, American Guild of Organists, and the Association of Anglican Musicians. He currently serves as music director at Church of the Good Shepherd in Rosemont, PA.
Glandorf became artistic director of Choral Arts Philadelphia in 2004. 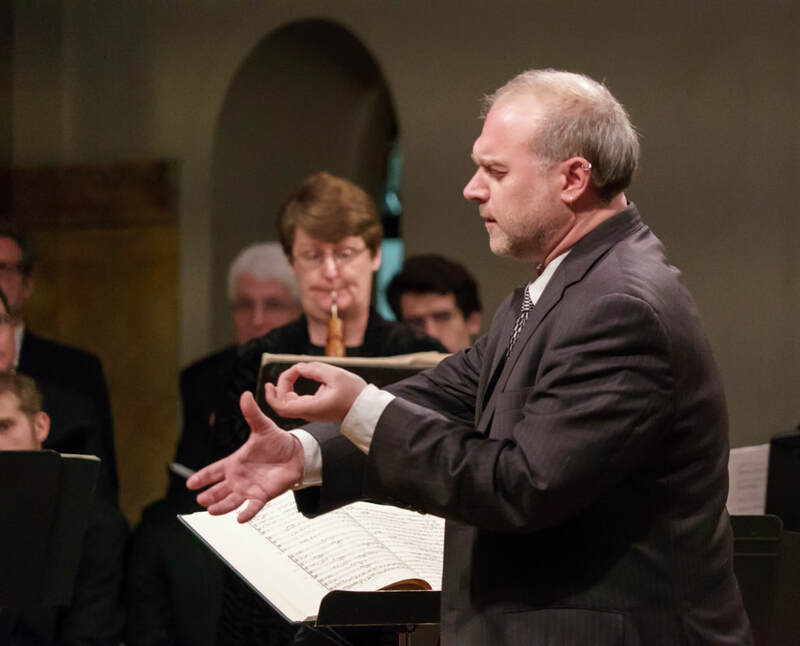 Since 2008, he has served as artistic director of the Bach Festival of Philadelphia where he founded the Philadelphia Bach Collegium, a resident chamber ensemble comprised of the region's finest period instrumentalists and scholars.